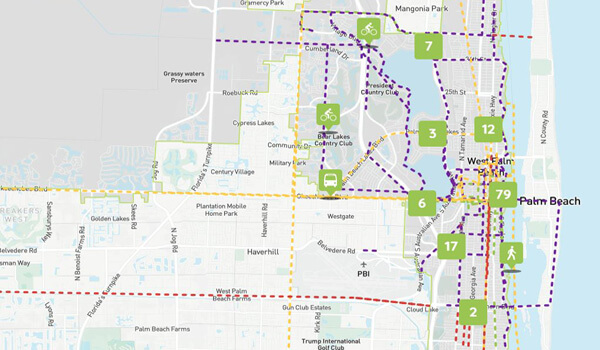 By: R. Michael Brown, Civic Association Communications Director — UPDATE: WPB Workshop Video Added: This week West Palm Beach city leaders revealed the results of studies about traffic, walkability, bicycling, and parking in downtown West Palm Beach. It’s called the Mobility Study. 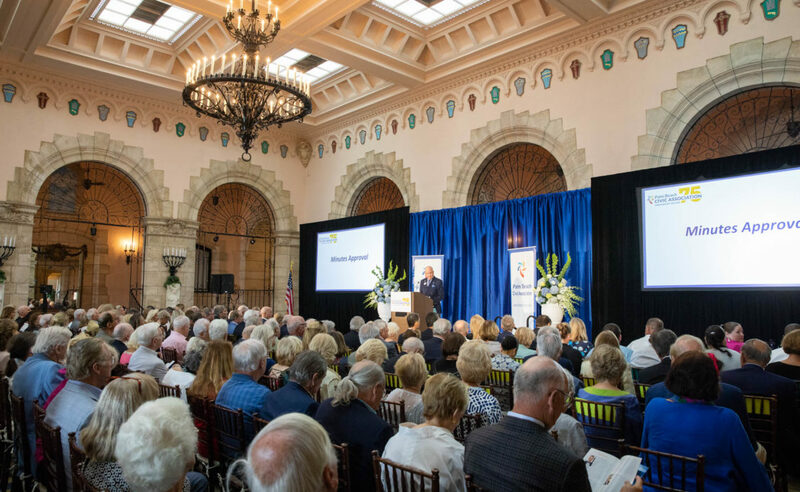 Gabe Klein, a consultant on cityscapes from CityFi, discussed the results of the city’s mobility study, including the Okeechobee Corridor study, the Downtown Parking and Transportation Demand Management Study, and the Citywide Bicycle Masterplan. The biggest idea presented is to get drivers to not use their cars. They say the future of the city depends on it. They are looking for ways to make drivers use other forms of transportation. In South Florida heat and guaranteed summer monsoon rains in the afternoons, the city planners and consultants think that people will walk, ride a bike, or wait outside for a bus or trolley? The plans beg the question: How many drivers are on downtown West Palm roads that commute from the suburbs of Lake Worth, Greenacres, Lantana, Wellington, Royal Palm Beach, North Palm Beach, Palm Beach Gardens, and more? Bicycling, walking, and mass transit are not options for those commuters. They aren’t on vacation or have the day off. They’re working. Virtually all riders using SkyBikes, the blue bicycle sharing program, are people that are not working that day. SkyBikes has about 150 bicycles available in West Palm. Rarely do you see a person that is working or conducting business downtown on a bicycle. 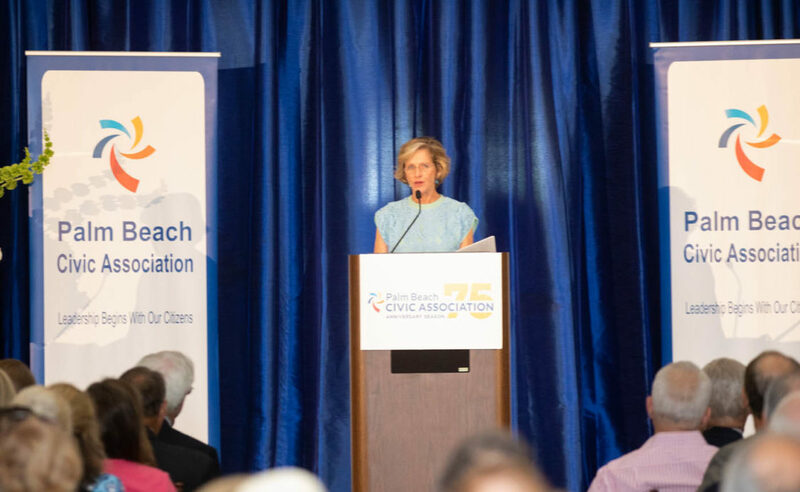 Palm Beach’s principal concerns are congestion in the town and along the transportation routes to and from the town, the safety of residents, and the mobility of its emergency services, she said. The Civic Association has hired a traffic consultant to review the plans. The West Palm mobility plan began in the Spring of 2017. Input was taken from various stakeholders including the Transportation Planning Organization, Treasure Coast Regional Planning Council, Palm Beach County, PalmTran, SFRTA, Florida Department of Transportation, Town of Palm Beach, Chamber of Commerce of the Palm Beaches, homeowners, condo and neighborhood organizations, and Palm Beach Atlantic University. Making Okeechobee Boulevard safer for pedestrians and smoother for drivers is a big goal planners say. Members of the Town of Palm Beach Civic Association would like to see the traffic study that proves that conclusion. To most, it doesn’t make common sense. Recommendations include expanding sidewalks on streets like Datura and Quadrille. “There’s a small percentage of people that really have to drive. So by making it easier for people that could do something — those people that really have to drive — it will make their lives easier,” said Mr. Klein. Mr. Klein says the goal is not to add more parking but to give people more of a reason to seek alternatives. “If you build too much parking, then you incentivize people to drive,” he said. Scott Kelly, assistant city administrator, said he understands the reaction to the plan by some stakeholders. “That doesn’t mean everyone will get out of their car. We realize that,” he said. West Palm leaders said they plan to officially adopt the study’s recommendations next month. Purpose: The Downtown Mobility Strategy will be presented for adoption by the commission. Plans to be presented for adoption include the Downtown West Palm Beach Mobility Plan, the Downtown West Palm Beach Parking and Transportation Demand Management Study, the Okeechobee Corridor Study, and the Citywide Bike Master Plan. He said you’ll start to see the city improving public transportation such as Palm Tran and the trolleys, expanding the bike share program, and planting trees to have shade along sidewalks. Before Monday’s announcement the city announced new changes to parking safety, security, and availability. 043018 Work Session from City of West Palm Beach on Vimeo.